PAUL JAY: Welcome back to The Real News Network. I’m Paul Jay. We’re In Burlington, Vermont at the Sanders Institute Gathering, and this is Part 2 of our discussion with MP Niki Ashton. She is one of Canada’s longest-serving New Democratic Party Members of Parliament. Niki has been a key member of the NDP caucus, served as NDP critic for Aboriginal Affairs, Status of Women, Post-Secondary Education and Youth; is currently the critic for Jobs, Employment, and Workforce Development, and the deputy critic for Reconciliation Between Canada and its Indigenous Peoples. Or, should we say, the Indigenous people and their Canada. So thanks for joining us. PAUL JAY: Canadians love to be self-righteous. I grew up in Canada. I grew up probably self-righteous as anyone until I started finding out what was actually going on in the world. I was mentioning to you that when I was 8 years old I read an article in the newspaper about famine amongst the Inuit in the Arctic, and thousands of people died in a famine. While maybe people aren’t dying on reserves in famine, they are dying in world-setting records of suicide. The conditions amongst Native people in Canada is outrageous. And I know in Canadian media it barely gets talked about. I ran a show at CBC for ten years called Counterspin, and I would talk to some of the news people. And I’d say, well, what are you doing about Native people this week? Oh, we did Native people three months ago. It’s not that they don’t do it. It’s just that there’s a crisis of such proportions that if this was white people in a city, it would be daily news. NIKI ASHTON: Yeah. Yeah, absolutely. PAUL JAY: Let me just add, you represent a district in northern Manitoba, a riding in northern Manitoba, which is 70 percent of voters are Indigenous people. So you’re very connected to this issue. NIKI ASHTON: Yeah. And I mean, it’s a tremendous honor to represent a part of the country where there is so much wealth, in terms of tradition, and in terms of knowledge, and in terms of sort of resistance, as well. But also, I mean, juxtaposed with unbelievable poverty. I mean, third world living conditions. In fact, there is a report that came out recently that said that 64 percent of the kids in my constituency live in poverty. NIKI ASHTON: 64 percent, yeah. And I mean, it is exactly a double standard. We’ve been dealing with an epidemic of missing and murdered Indigenous women for years. There’s an inquiry happening right now in Canada. And I know, actually, there’s cause for some similar attention here in the States in terms of Native American women. But if the kinds of things that were happening are being done to Indigenous women happened to non-Indigenous women, the media would be all over it. Politicians would be all over it. You know, everybody would be all over it. But so much of this is pushed aside, and systemic racism is front and center. This colonial perspective that, you know, this is how things are. But we are in interesting times. I mean, there’s–you know, there has been incredible resistance brewing over the last few years. There was the Idle No More movement that started a few years ago in response to our Conservative government. And I would say it was, and many have said, that it was the first and most effective resistance towards that Conservative government, that also sort of, kind of broke the dam. And so many other movements coalesced, and people coalesced, and then ultimately they lost power. PAUL JAY: They had a lot of influence in the United States, too. NIKI ASHTON: Yeah, exactly. And that’s continued particularly around the opposition on pipelines. And like I said, we have a prime minister who talks about being a climate leader, visionary, whatever, but is keen on ramming through a pipeline that is intended to go through Indigenous lands. And Indigenous peoples are taking him to court; are very clear that they will take any methods, including direct action, to oppose this pipeline. PAUL JAY: You talk about systemic racism. And Canadians like to feel self-righteous about systemic racism in the United States. 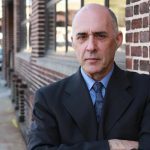 PAUL JAY: And you know, Real News started in Toronto, but our bigger operation right now in Baltimore, one of the homes of systemic racism in the United States. But the deep, profound racism in Canada towards Native people, and the conditions Native people are living in, is far worse than anything I’ve seen in Baltimore, even though what I see in Baltimore compares to some of the poverty I’ve seen in Latin America. NIKI ASHTON: I’ll never forget there was a, well, one of the biggest publications in Canada, Maclean’s, had done a piece about racism in Winnipeg, which is the capital city of my province. And, you know, not the only city where there’s flagrant racism against Indigenous peoples, obviously, but they pulled on a number of examples that were just shocking. But there was also, you know, it took a hit at this self-righteousness. And actually, if you look at it, the statistics show that there are higher rates of incarceration amongst Indigenous men than than African-American men. NIKI ASHTON: Three; three point some percent. It’s a growing demographic. But at the, in federal prisons, federal womens’ prisons are–40 percent of the inmates are Indigenous women. PAUL JAY: So Native people are 3 percent of the population of Canada. The Canadian economy is somewhere between the 10th, 11th, 12th biggest economy in the world. One of the richest countries on the planet. What’s particularly vile, I think, about the Canadian approach to Native people is that in the United States, as horrendous as poverty is amongst African Americans, there is a kind of rationale for it. What I mean by that is systemic racism carries on because it’s such a source of cheap labor. Like in Baltimore, people working at Johns Hopkins Hospital, cleaning surgical rooms after 14 years seniority making $13.25 an hour. In a unionized place. So I mean, this perpetuation of the racism in the United States is based on superexploitation of black labor and black poverty. There’s a big business out of poverty, too, including mass incarceration. But this isn’t the case in Canada. It’s not Native labor that’s being exploited. The roots of this perpetuating itself is what, because Native people have fundamental land claims, and they want to continue to dehumanize people? It would not even be a wink for the Canadian economy to properly address the social safety net and such, and employment, and all the rest. It would be nothing. But nobody even talks about it in a serious way. NIKI ASHTON: Yeah. Yeah, I mean, there is a lot of talk around how basically Canada’s wealth is is really founded on the exploitation, and frankly, the desire to exterminate Indigenous peoples. I mean, much of our wealth comes from our lands, right. Primary resources. And that’s, you know, that was how the reserve system started. Stick everybody into the smallest plot of land, usually the most unlivable and dehumanizing part of where they were. Or not even where they were, displaced. And just take what’s theirs, take what they’ve been stewards of since time immemorial. And that desire continues, right? I mean, the big battlegrounds in Canada are around natural resources. You know, whether it’s mining development, whether it’s forestry, but particularly now pipelines. And it’s Indigenous peoples who have the power legally, as well. But I would say, you know, frankly, historically, and it’s the right thing to do, to say no, I don’t want this development on my land. And so it serves Canada well to weaken, frankly, and unfortunately, as they’ve done for so long, repress and oppress Indigenous peoples. But Indigenous peoples are–the resilience is, I mean, there’s nothing like it. PAUL JAY: Now, there was an NDP government in Manitoba for a long time. Did they do anything differently towards Indigenous peoples? NIKI ASHTON: They did, absolutely. I mean, in Canada the people that live on First Nations, on reserve, work directly with the federal government, and the province doesn’t have much jurisdiction there. Where the NDP government did do a fair bit of work was in urban centres, partnering with Indigenous peoples, with Indigenous communities. But they did enter into partnerships around development, particularly around hydroelectric development. They entered into partnerships with First Nations. They were very clear on on the need for free, prior, and informed consent on resource development more generally. And you know, there was a different approach, absolutely. But where you see the most shocking levels of poverty are on reserve. And that is where the Federal Government has ignored completely, and frankly contributed to the impoverishment of Indigenous people. PAUL JAY: So what policy are you pushing for? NIKI ASHTON: Well, the NDP has said, first of all, we–our work needs to be premised on a relationship of respect. And in fact, just recently my colleague Romeo Saganash has put forward a bill that any work we do has to be premised on the UN Declaration on the Rights of Indigenous peoples. And that’s, I think, a critical starting point. You can’t just do one offs, right. It needs to be founded on a strong foundation. PAUL JAY: Which, if I remember correctly, Canada was resistant about signing for the longest time. NIKI ASHTON: And we have signed since. 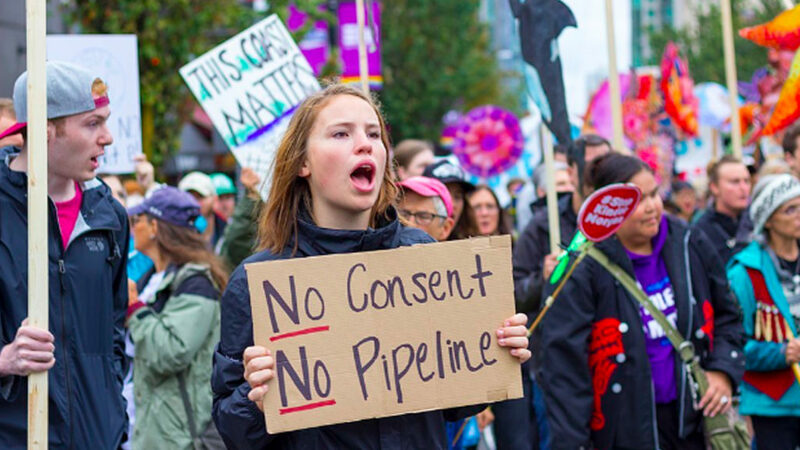 And yet, you know, again, we have a Prime Minister that says, well, you know, we’ll respect all these parts, but not the part that says we have to respect them when they say no to pipelines. Right? But you know, we’ve talked about the need. And obviously, we’re going into a federal election next year. We’ll be talking a lot more about the need for equitable funding on education, where it’s totally off. I mean, non-Indigenous students receive more money than Indigenous students on reserve to go to school, K-12. We’ve talked about the need for investments in healthcare. And a critical piece is housing. I mean, that’s where you see the most glaring poverty, is the housing conditions. And we’ve said, you know, there’s partnerships to be made, there’s incredible initiatives on the ground. But the federal government is just simply not there. And a lot of that is rooted in systemic racism. Some of it is rooted in sort of out of sight, out of mind; people not knowing the reality on the ground, and refusing to know it. And it’s just, it’s unacceptable. You’ve pointed out we’re one of the wealthiest countries in the world. It is completely unacceptable that anybody, and in particular the First Peoples, live in these conditions. Thankfully, so many are on the front lines of fighting back, not just for their own communities, but for all of us, when it comes to things like the environment. And you know, I’m really proud to work with some very dynamic Indigenous leaders, and I hope that we can bring about political change soon. NIKI ASHTON: Well, we firmly believe, again, in the UN Declaration, which makes it clear that we need to work on the principle of respect for free, prior, and informed consent when it comes to development, and we can’t just sort of go in and do a, you know, do a meeting and and then leave and say, OK, we heard from people, and then just carry on with that, with supporting companies ramming through their agendas on Indigenous communities. That Indigenous communities need to determine themselves what development happens on their lands. And we firmly believe that they ought to be leading that kind of development. And so, you know, we’ve talked a fair bit about that. The challenge is, you know, our Prime Minister has used a lot of symbolism of caring about First Nations; talks a lot about the nation-to-nation relationship, talks about it internationally. But the reality on the ground is that they are disrespecting indigenous rights, and you know, and it’s the NDP that’s saying that this is not acceptable, and we need to do things differently. PAUL JAY: Now you’re, as I mentioned, your riding in northern Manitoba is majority Indigenous, and you’re not Indigenous. And the Liberals, and I assume maybe the Conservatives, put up candidates who are Indigenous, and you keep winning for 10 years. So what’s the relationship between you and the Indigenous–the nations within your riding? NIKI ASHTON: I believe 600 miles north of the Canada-U.S. border, just up from North Dakota, and which is very cold, yes. I also represent Churchill. Polar bears live there. So it’s very cold. PAUL JAY: Polar bears wind up walking down the street every so often. NIKI ASHTON: Yes, exactly. Exactly. So you know, and I have the distinct honor of working with so many First Nations leaders, advocates, activists. And we work based on shared values, and a commitment to justice. I think that’s a universal commitment. And you know, it’s something that is part of my political philosophy. You know, a commitment to justice, no matter who you are, no matter where you are. And it’s also really critical in Indigenous communities. And so you know, despite other parties’ attempts to play on the politics of identity, we’ve made it clear that we have common values to put forward. And frankly, principled politics. Whereas other parties, the Liberals for example, who often cater to Indigenous communities and other communities in our country and sort of say, you know, we care about you, we’re with you, but when they’re in power do everything against them. You know, people see through that. And so in the last election, for example, I wouldn’t have won if it wasn’t for the tremendous support in Indigenous communities. PAUL JAY: Even though you were running against a Liberal candidate who was Indigenous. NIKI ASHTON: Yeah. Yeah. And it’s also a testament to the work we’ve done as a team on the ground. I spent a lot of time visiting in communities, going door to door, even in very cold weather, and spending time listening to people, building those relationships. And for me, and that’s why I’m a fan of a lot of the people that have been here this weekend, you know, the politics that makes a difference is at the grassroots level. Change comes from, I would say, the outside. And I’ve always believed that. You know, I believe that you need to get your direction from the ground up, and that’s how I’ve practice politics where I’m from, and that’s the kind of politics I’ve taken to the capital in our country. And that’s, you know, that’s how I, I think the only way we can achieve change, and most importantly achieve justice. PAUL JAY: All right. Thanks for joining us.